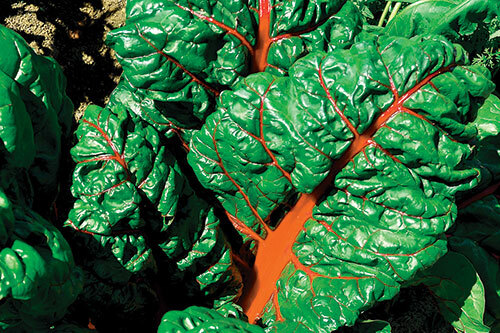 The number of different names silver beet is known: Swiss chard, perpetual spinach, seakale beet, and mangold (among others), indicates its worldwide popularity. This, coupled with how easy it is to grow, means that silver beet is often taken for granted, relegated to the back of the garden, and given little care. As a decorative, highly productive plant, and one which is difficult to surpass for nutritional value, it deserves better. 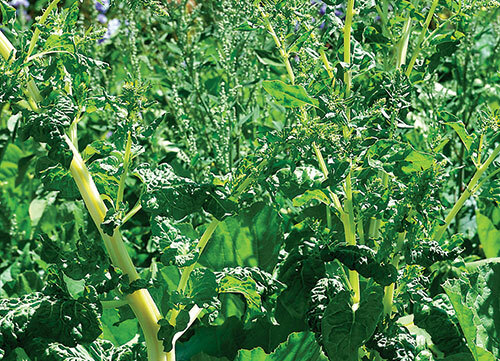 Silver beet is heat tolerant, but not at all drought tolerant, so in warmer regions it is best grown as a winter crop. The aptly named ‘Bright Lights’ variety with its glossy, crinkly leaves on stems of red, pink, yellow and orange looks particularly striking backlit by the afternoon sun, and merits a position right at the front of the vegetable patch where it can brighten even the gloomiest winter day. 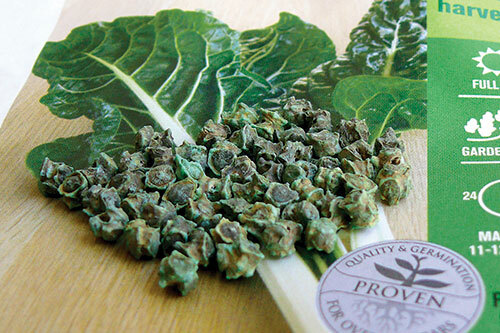 Silver beet is particularly high in vitamin K (important for bone health). It’s also high in vitamins A, C, and e minerals such as calcium, iron and potassium as well as folate and fibre. ‘Bright Lights, with its multi-coloured stems, is striking enough to go in the flower garden. It can be grown throughout the year in most areas of New Zealand, keeping in mind that seedlings of winter crops in cooler areas need to be protected from frosts with a cloche, and although the plants are reasonably hardy once established, they will still be cut down by severe frosts. 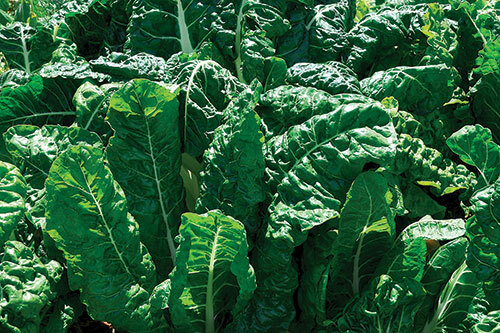 Because silver beet is not at all drought-tolerant, in warmer areas it is better grown as a cool season crop. Silver beet tolerates a wide range of conditions but, ideally, you should choose a position in full sun or semi-shade, work the soil to spade depth, dig in plenty of compost to ensure good drainage (the plants won’t thrive in waterlogged soil), and enrich the bed with a nitrogen fertiliser (such as blood and bone) prior to planting to promote leafy growth. Silver beet seeds are contained in clusters from which grow several seedlings. The seeds can be sown directly into the ground, or in trays and later transplanted. When slugs and snails are active it may be better to start the seeds in trays where the seedlings can be more easily protected. Birds can also be a problem with silver beet, particularly with the seedlings and young plants. Sow the seeds 5cm apart at a depth of 0.5cm, in rows 30cm apart. Start thinning the seedlings when they are 5cm high. More than one seedling sprouts from each seed, so thin these clusters of seedlings down to the strongest one using scissors to avoid root disturbance, then thin the whole row until the plants are spaced 15-30cm apart. Leaving a good space between the plants creates airflow to reduce the chance of fungal diseases. The thinnings can be used as salad greens or carefully transplanted into new rows. Although we usually treat silver beet as an annual, it is actually a biennial, flowering and setting seed in its second year. Silver beet leaves will be ready to harvest in eight to 10 weeks from sowing. The whole plant can be harvested, with successive sowings made a month apart to ensure a continuous supply. If you prefer to take a few leaves at a time from the outside of each plant cropping can continue for eight to 12 weeks. Pick often to encourage plenty of tender new leaves, twisting them off at the base rather than cutting to avoid damaging the plant. Side dress with a nitrogen-rich fertiliser following the first large harvest of leaves, and thereafter administer a two-weekly application of a liquid fertiliser to boost leaf growth. 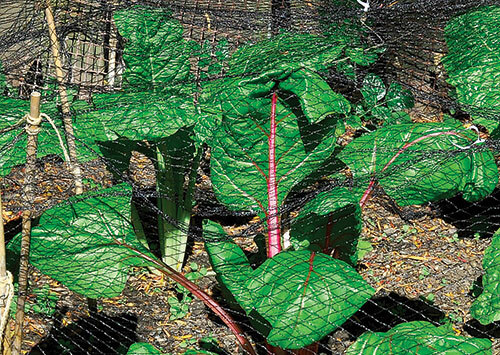 These plants have been netted to protect them from birds, and also to protect the birds from the slug pellets. Silver beet is a biennial although we normally treat it as an annual. This is, in part, because if the plants are allowed to flower and set seed, in the following year, seedlings will be found growing throughout the entire garden patch. Because silver beet leaves are delicate and overcooking destroys the nutrients in them, light cooking methods such as microwaving or sautéing are recommended. As with a large range of other vegetables (such as spinach and parsley, for example) silver beet contains oxalic acid so people prone to conditions such as kidney stones or gout should boil the leaves for a short time, something which also reduces any bitterness. Young leaves can be used fresh in salads because they contain little oxalic acid. Silver beet stems are also edible, but require a slightly longer cooking time than the leaves in order to make them tender. 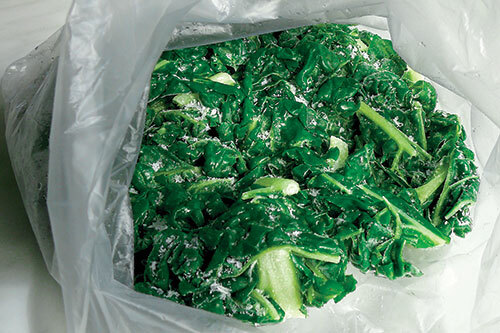 Surplus silver beet can be frozen. Clean it, blanch it for two minutes, and dry it well before freezing.